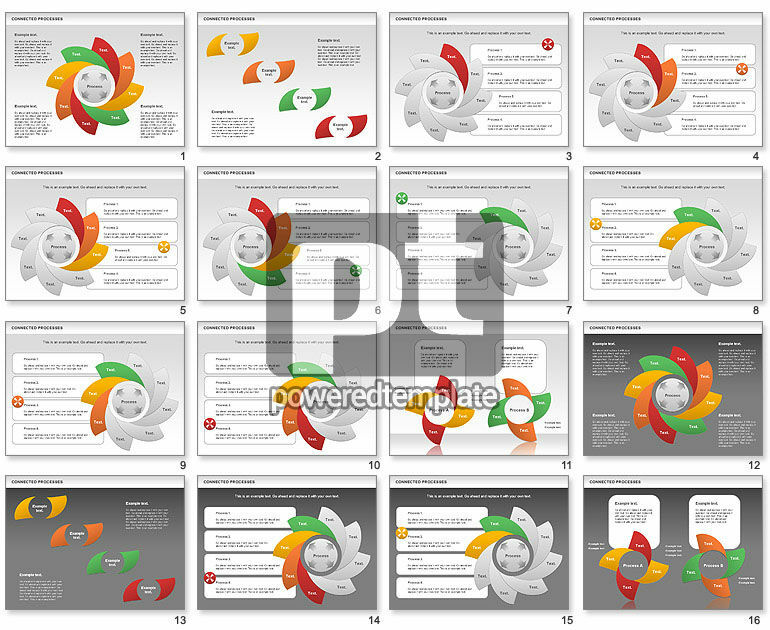 These presentation slides 36141 are complete compatible with Google Slides. Simple download PPTX and open the template in Google Slides. To demonstrate relations between connected processes you could use this Connected Processes Shapes which give your presentations ability to describe your thesis bright and clear. Useful for presentations on business process, commercial processes, marketing and so.